Sports betting and other forms of gambling have taken a firm grip of many young Kenyans and gambling addiction is a real danger. In this article, we see how to recognize whether a loved one has a gambling problem and what to do about it. Click Here to Watch Video on YouTube. Betting and gambling has become so widespread in Kenya it can only be described as an epidemic. With more and more people gambling these days, there are more people who are likely to end up with a gambling addiction. Gambling problems can manifest themselves in many different ways. Some problem gamblers will have all of these signs of their gambling problem and some others may only have one. Gambling addiction affects players of all different forms of gambling like sports betting, online casinos, horse race gambling, Poker and even Bingo. Most addicts will stop socializing with anyone who is not into their addiction, so if suddenly someone you know cuts out all their friends from their life and starts to isolate themselves this can be a sign. A simple thing to look for is if they are overly interested in the sports scores, and if after reading them to they become ecstatic or depressed. No one likes it when their favorite team loses, but a gambler will have major mood swings depending on if they are winning or losing. 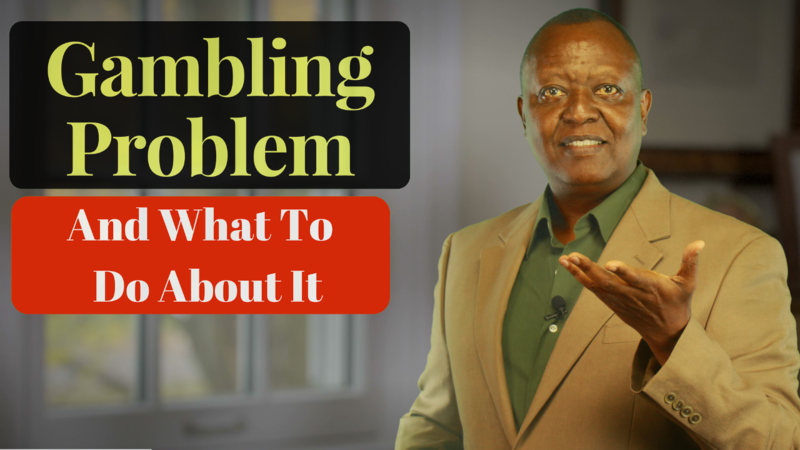 A big sign of gambling addiction is someone who is constantly having money problems and asking to borrow money but never pays it back, but sometimes out of nowhere this person will seem to have large sums of cash. Lying and stealing is another good clue to a gambling addiction, they will make up all sorts of excuses for their odd behavior, and you may notice small, but expensive items missing from your home. If when visiting this person if you notice that some of their things are missing, or if they tell you they have had to sell some things, then there is a good chance that what they sold either went to pay of gambling debt or to make new bets. Without help gambling addiction leads to the same place as drug addiction or alcoholism, eventually they will be overcome by their addiction. At this point they will be fully cut off from friends and family. Most gamblers with bad addictions usually wind up jobless and in many cases homeless if their addiction is allowed to go unchecked for too long, and studies have shown that people with gambling addictions are more prone to illness because thy allow their health to lapse. For more information on gambling addiction talk to a psychological counsellor or look on the internet for the gamblers anonymous web site, or from one of the many internet web sites dedicated to helping gambling addicts. It is crucial to get help before the addiction destroys the person, their family and finances. Please share, you may help someone.